These panels are pre-fabricated typically in 1.8m sections. 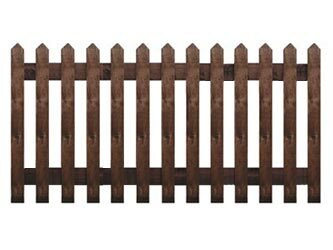 Normally supplied on arris rails to facilitate fixing with galvanized brackets, they may be constructed with or without gravel boards, although we would normally erect with gravel boards. These are sawn and treated.